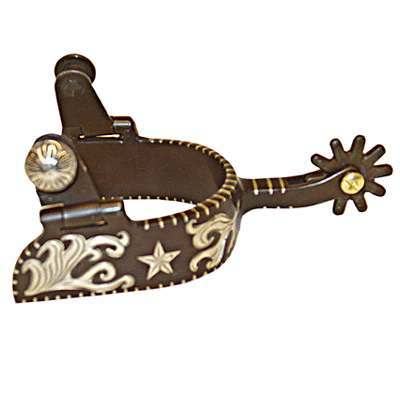 These Ladies Long Shank Silver Texas Star Cutting Spurs are made of only exceptional quality materials. When buying some Ladies Cutting Spurs from us we are confident that you will be happy with our products. These Ladies Boot Spurs are also one of our most popular items among our customers. As horse enthusiasts ourselves our number one priority is to offer our customers Cutting Spurs which we believe are made to last and available at affordable prices.